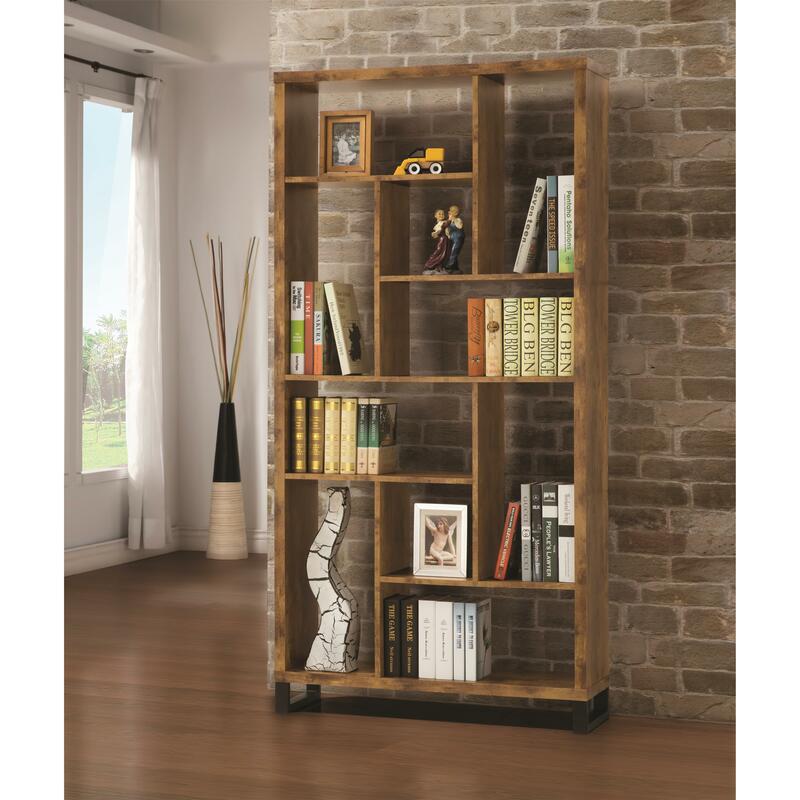 This bookcase is the perfect addition to your living room or study to provide extra storage space. With ten cubbies of varying size and shape, this piece provides a place to store books, plants, vases, and other decorative objects. The bookcase has a distressed nutmeg finish with black metal accents. The Bookcases Open Bookcase with Different Sized Cubbies by Coaster at Sam Levitz Furniture in the Tucson, Oro Valley, Marana, Vail, and Green Valley, AZ area. Product availability may vary. Contact us for the most current availability on this product. The Bookcases collection is a great option if you are looking for furniture in the Tucson, Oro Valley, Marana, Vail, and Green Valley, AZ area. Browse other items in the Bookcases collection from Sam Levitz Furniture in the Tucson, Oro Valley, Marana, Vail, and Green Valley, AZ area.